We wrapped up our last weekend of baseball with a tough loss. Our team finished second in our division #waytogo! but lost the second game in the playoffs by one run. See, I’m learning! 😉 The boys were in tears after the game and it was so sad to see them so disappointed. Also, I think they were just sad that the season was over because they really bonded and enjoyed playing together. 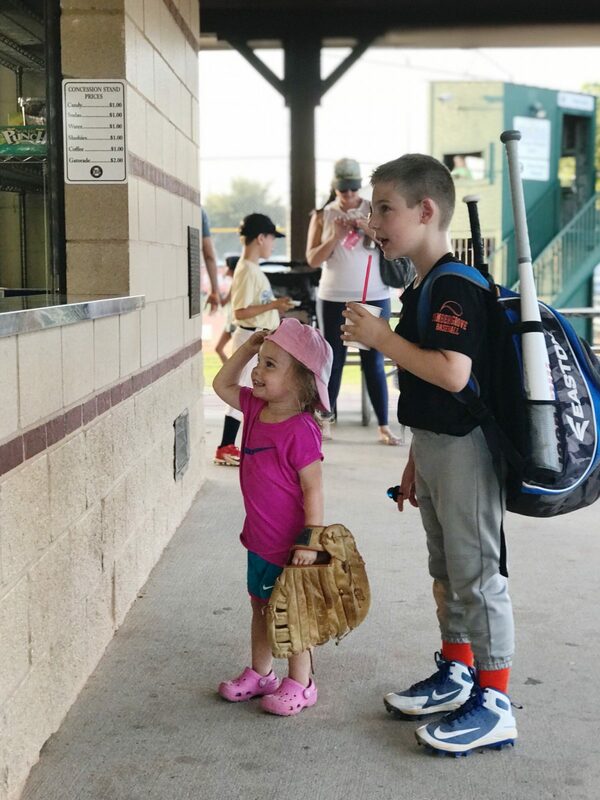 Luckily, 7-9 year olds tend to bounce back as soon as the concession stand tickets are passed out! And like I mentioned in Friday’s Dressing Room post, it’s been so very hot here already! We’re already in the 90s in Houston! 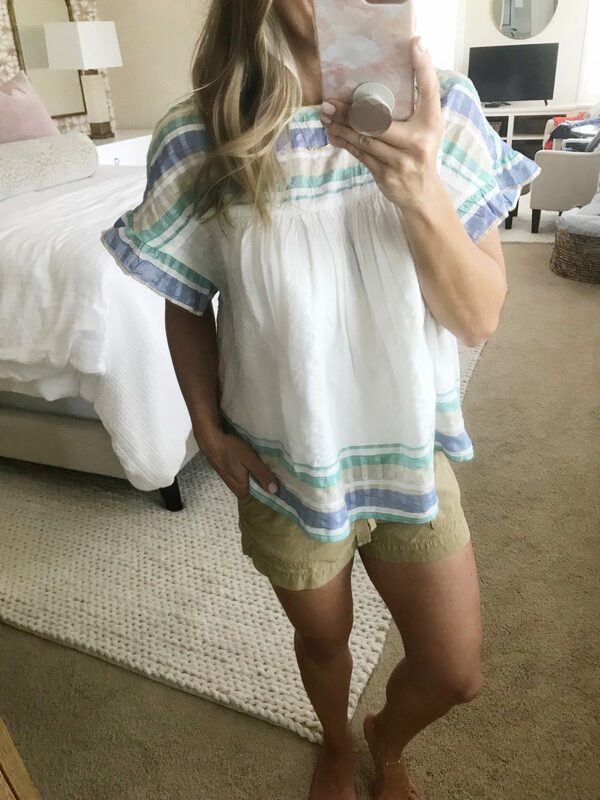 We’ve got shorts on repeat around here and I have a few I’ve been wearing nonstop and can recommend for you! First up, this easy to pull on safari shorts with pockets and a drawstring waist. 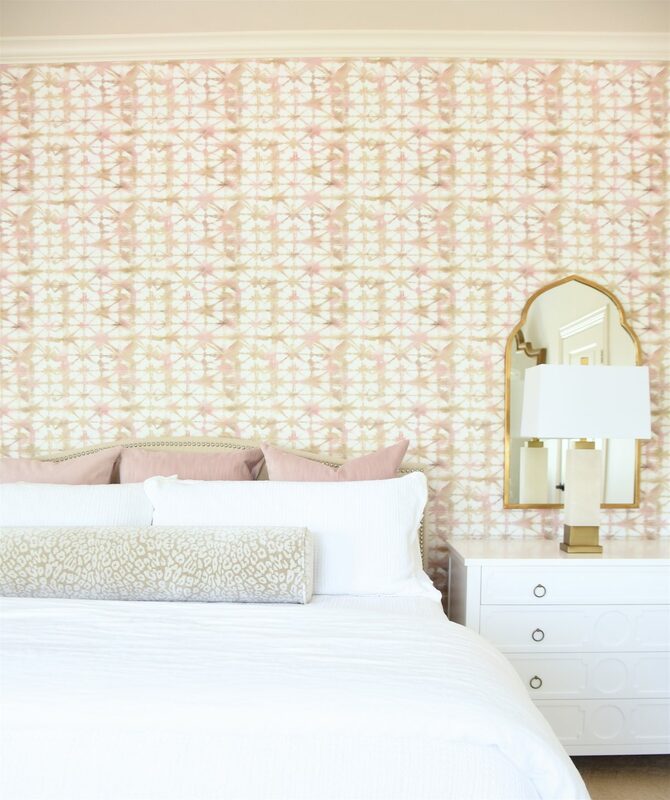 I like the neutral tan color that goes with everything! And I stocked up on these everyday tanks because they are great worn alone or as a layering piece. The fabric is a nice quality, not too thin and I like the shape of the shoulder strap and neckline as well as the length. As you can see, the white one is opaque enough to wear with this bra ‘cameo rose’ without really showing through. Next up, a cute, well-made mid-rise short with a 3 1/2 inch rise that comes in so many fun colors for Spring & Summer that you’ll want them all! They’re made of cotton with a bit of spandex and feel great on! I really like the mint color ‘menthe’ too! And you’ve seen me raving about the cute scallop detail on this pair! I have them in both black and white and they can be worn dressier because they have a linen-y look although they are cotton/elastin blend so they don’t wrinkle as much. They’re also currently price matched 30% off! I realized that even though I’ve done a few GSD Instagram Stories, I’ve never posted it on my blog! #badblogger! What is GSD, you ask?? 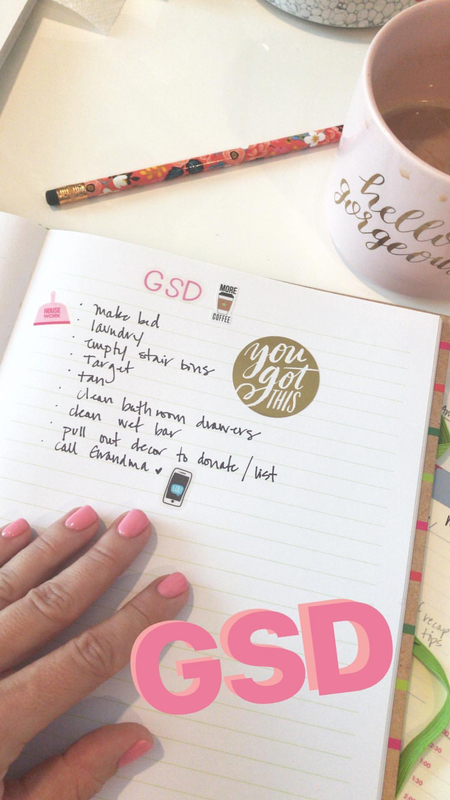 It’s where you decide you are sick of your ever-growing and nagging to do list, and decide to tackle it like a boss and cross off those things! Basically, Get Sh*t Done! All good GSD days start with either: 1) a quick workout to get you going, or 2) a cup of caffeine. Or at least that’s how I like to kick them off around here! You want your list to be ambitious, but not so big that you won’t be able to complete it. A typical GSD day for me will last several hours, but I do tend to hit the wall in the afternoon! So maybe you pick things you can complete in a power hour, or two or three hours. If getting in the car and going somewhere is part of your GSD, then obviously, you’ll need more time. 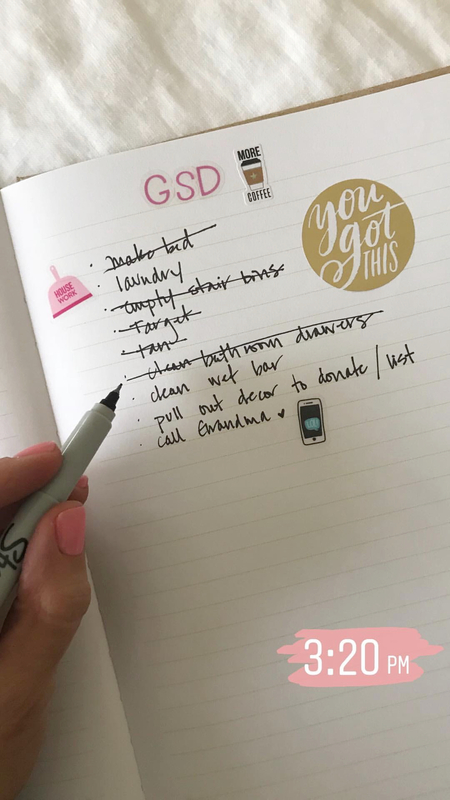 After you have your list and you’re ready to start, get after it with gusto! You’re on a GSD mission and you take no prisoners! 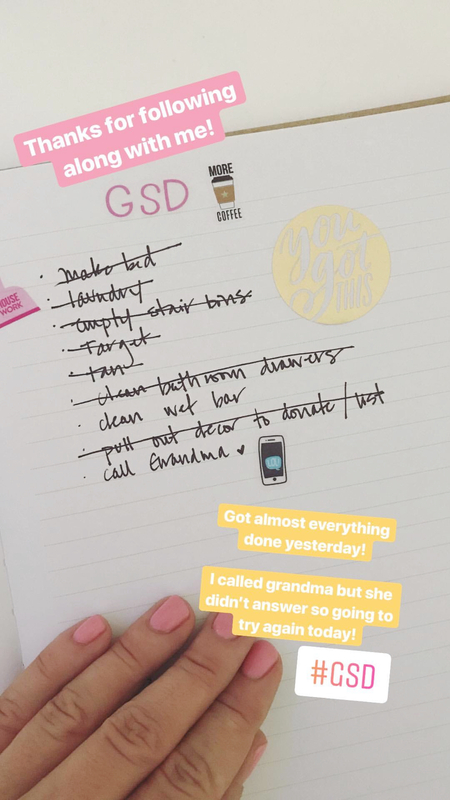 I make my bed everyday, but I still added it to my GSD list, because it just feels so much better to cross things off and I want credit for it! 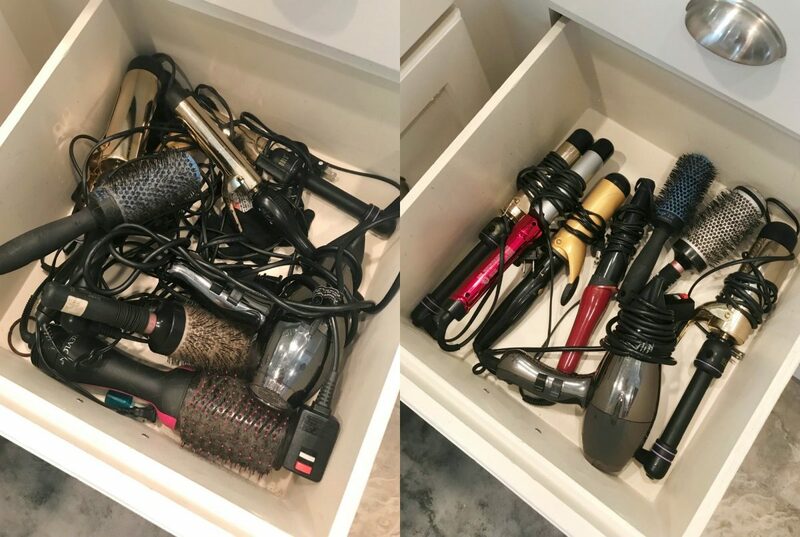 One of the things that’s been bugging me everytime I open my bathroom drawers was the mess of hair and hairspray and general yukiness inside the drawers! I finally pulled everything out, wiped them down and vacuumed them, then rearranged! The after is so rewarding! And the funny thing is, it doesn’t take very long- it’s just a matter of getting the gumption to do it! See, just nine minutes to complete that task that’s been bugging me for months! 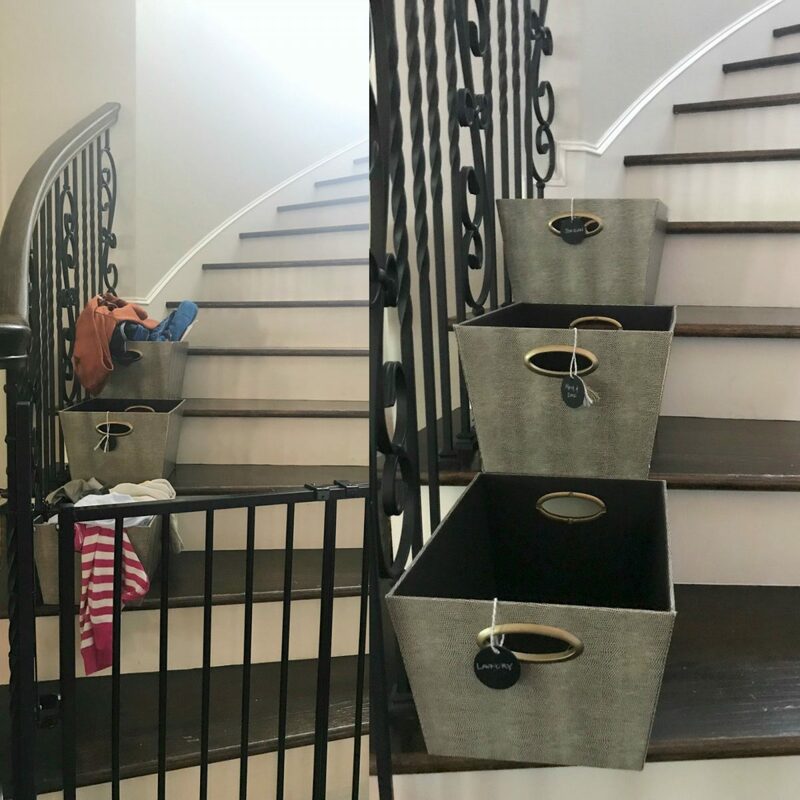 We keep bins on the stairs to help corral all.the.things that constantly accumulate there and need to go up. I have a bin for laundry (our laundry room is on the second floor), one bin for me and hubby, and one for James and Jordan. 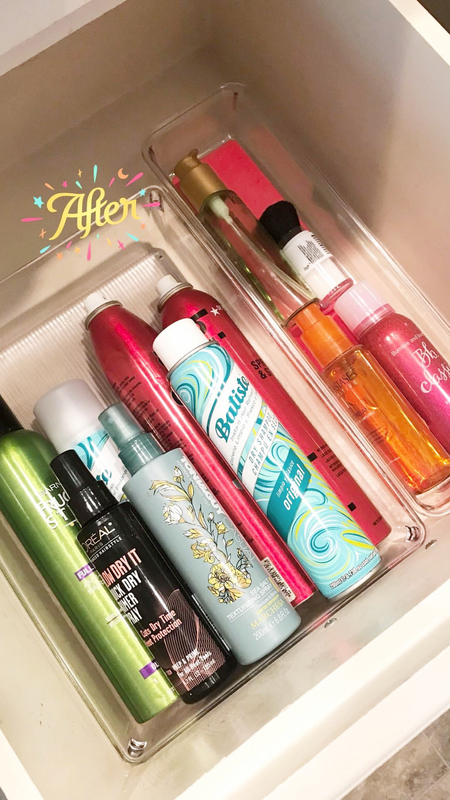 The plan is to empty them regularly, but sometimes things just pile up and no one but me seems to even realize the bins are there! 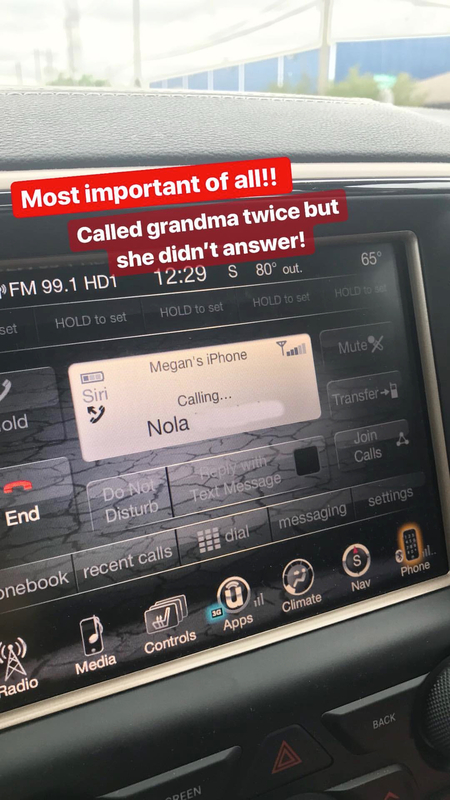 It’s like they’re invisible to everyone else in the family! Really strange how I have such keen vision compared to everyone else here. Those bins are many years old from Target and I simply labeled them with tags. As you keep crossing things off your list, it feels great and you build momentum to keep going! GSD baby!! Never have I gotten so many questions about a lip color as when Ashley and I went to Austin last week! Y’all were loving the cheerful pinky/red of this color! It’s by MAC, called EROS. I like this lipstick because the color is intense, but also feels creamy on and lasts all day. Also, I don’t find that MAC lipsticks have any weird smell or taste – and I’m particular about that! I’m trying to kick my fitness level up a notch since June is just around the corner and we’ll be spending lots of time at the pool! Although I’m not tracking macros or counting calories, I try to make sure that most of my meals are balanced with carbs, protein and healthy fat. Lately, I’ve been eating a lot of meals that have a bed of spinach, heap of lentils or beans or chickpeas to help keep me full and add protein, grilled or roasted veggies, then sometimes adding meat or fish protein like chicken, lean beef, pork or salmon/mahi/shrimp, and finally a drizzle of olive oil or avocado on top. In the photo below, the spinach was raw, but I’ve found I like it better sauteed. Remember it will cook way down, so I start with about 3-4 cups. This weekend our nation honors our heroic service men and women and their families that sacrifice so much on the daily, things we may never see in our day to day lives. My Dad was in the military for a short time, and my Grandpa was a lifelong navy man. He retired as a Commander and our family is so proud of him. Do you have plans for Memorial Day weekend?! Remember at the beginning of the year when we talked about planning your entire year in advance?! It’s weekends like this that can easily get overlooked and you end up organizing your attic if you didn’t make plans! We’ll be heading to Lost Pines again, a family friendly resort that’s only an hour drive away! 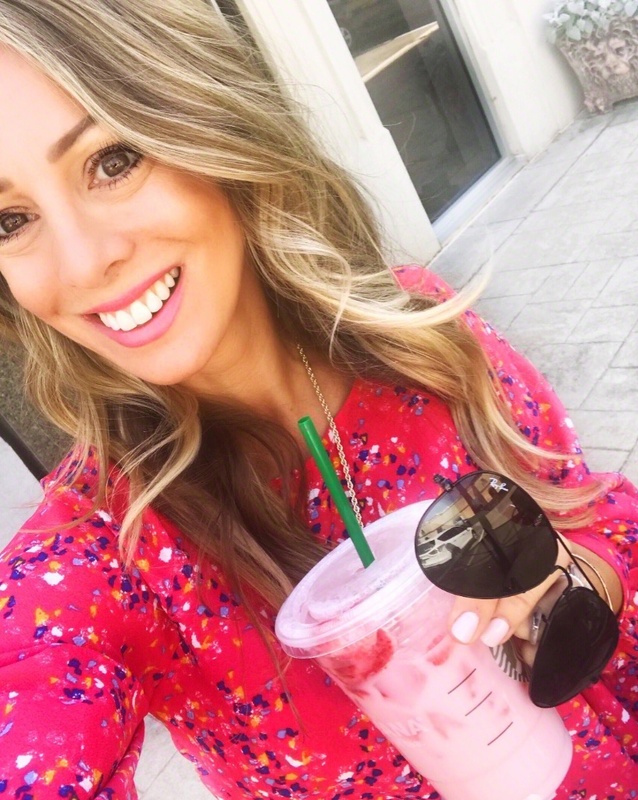 I’m already mentally packing my outfits, planning to bring these simple vacation-friendly pieces! Both the straw hat and straw/raffia bag that I featured in MAY LOVES arrived and I’m digging them both! 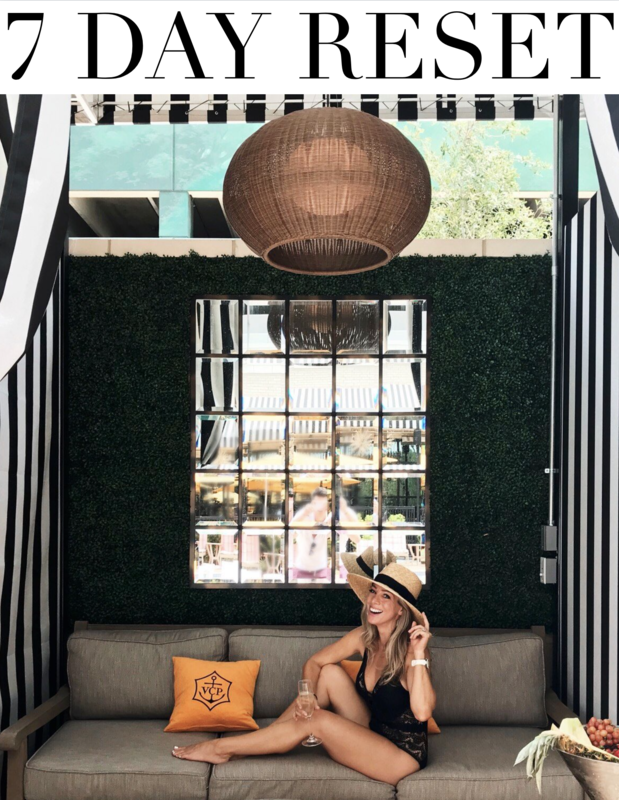 The hat fit perfectly in size small and can be worn with your outfits as a cute accessory and as a practical way to shield your face from the sun! The bag is great quality and nice size and super cute! I don’t feel like it’s too big to carry as an everyday tote and not to small to function as a beach bag. I was so torn between the chambray and gingham on this top! 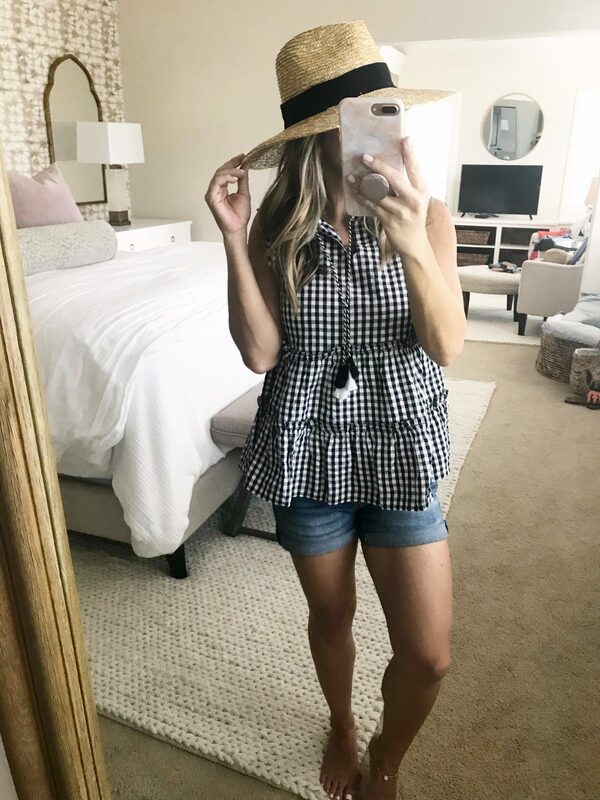 The gingham won for me, but I’m still dreaming of the chambray one and thinking how good it would look with white shorts and white jeans! This ruffled sleeve top is easy breezy goodness! I’m love the cut and pale colors that go particularly well with the safari shorts. But, I’m super smitten with this smocked mini dress! It will be perfect for throwing on during the day, even over your swimsuit or for a casual dinner out at night. It comes in more colors too! It’s heartbreaking to witness another school shooting and loss of innocent lives, especially so close to home. Santa Fe, Texas is just south of Houston, about an hour away. I heard about it Friday morning and couldn’t shake the sadness. I cannot imagine ever losing a child and hearing the reports about what the kids went through is devastating. In our own school, they’ve practiced with drills (similar to what they did in Santa Fe) and I felt punched in the gut when James told me his instructions: “if you’re in the bathroom while there’s a shooting, go into the stall, lock the door, stand on the stool, be very, very quite and pretend you’re not there.” And “play dead” in the classroom if the shooter is in the room. It’s just not right that our young kids need to be taught these things. And it’s not right that any of our kids lose their lives in this horrific way. I don’t have the answer to such a complicated situation, but as a mom, I grieve with these families. I’m on my knees, praying for peace and comfort and a solution so that our schools can be safe places for our children. My friend Ailee shared this link to Moms Demand Action For Gun Sense in America that I’m currently researching so that I can figure out the best way to take action. Perhaps this is a good place to start. This is the kick in the pants I needed to *GSD* around my house! 🙂 Love this post! Your outfits are so darling, your dedication to a healthy lifestyle has inspired me and I’ve lost 20 pounds since January by planning healthy meals and hitting the gym. Yay!! Have fun on your mini trip! That’s amazing Amy! Way to go! 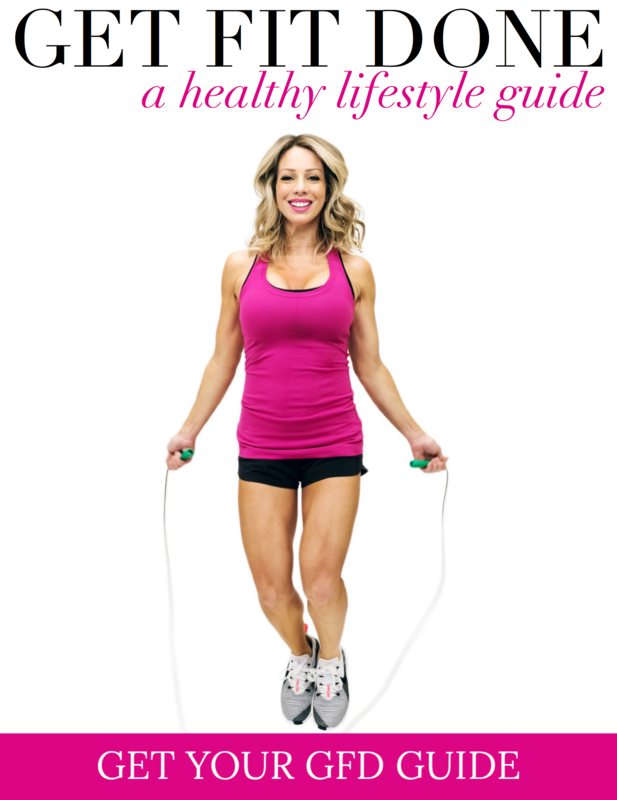 It’s not easy to lose weight, and 20 pounds is a huge accomplishment! I bet you’re feeling so much better! Thanks for writing and letting me know! I have a massive GSD list today! Thanks for the inspiration! Hope you liked the goodies I sent you! Go girlie! Feels so good to get everything done! And a huge thank you for the goodies- darling pieces!! Thanks Megan for mentioning what happened in Texas Friday. I can’t shake the sadness (and anxiety) either and I appreciate you mentioning ways we can research what can be done to minimize and correct this danger our children face. We are all grieving together. So so sad. Hi Megan! Happy Monday! I always love the quality of your posts so much, they are great. 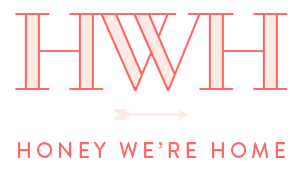 Have you ever considered doing blog income reports? I know they are not for everyone, and some people prefer to keep that private, but they are seriously so helpful and inspiring! Hi Heidi, thanks so much for stopping by. That never occurred to me! Thanks for mentioning the school shooting and the link. I have three kids in schools in our town and I worry about them every day. 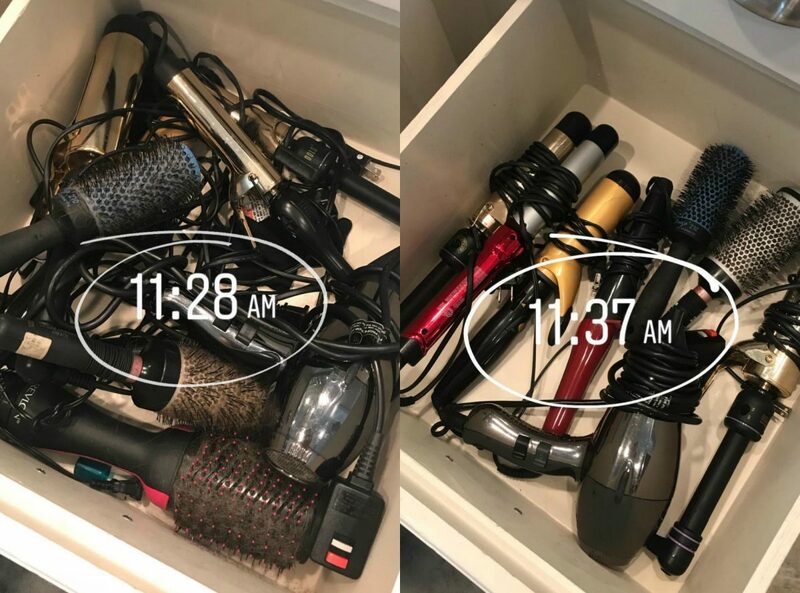 I firmly believe that it will be the moms who fix this problem. Our elected officials certainly aren’t doing enough–it’s becoming clear to me that it’s up to us to protect our kids. It just makes me sick to think that it keeps happening, yet no action. I think it will be similar to the 80’s movement MADD about drunk driving…mom’s are a force to be reckoned with! I hate the feeling of helplessness and hope that we can put our heads together to come up with some solution to this violence. Oh my goodness, it sounds like they have the sweetest relationship! These two are starting to also, they really adore each other and James’ team adopted her as their ‘mascot’ this year- she’s even in the team photo! Thanks so much for taking the time to write and share a bit of your family with me. I love your posts! You do such a good job of blending motivation and reflection. I appreciate that you brought up the latest school shooting. Each one leaves me heartbroken. I’ve gone to a couple of events sponsored by Moms Demand Action and am hopeful that we can make things safer for our precious kiddos, I just hope it’s soon. On a much lighter note, I love your nail polish in the close up photos of your GSD list. Can you share the color? I love the name for your GSD list. I am a kindergarten aide and have two weeks to go. That’s when I go GSD crazy! Most of it is no fun, clean my car out good, clean fridge, pantry, and repaint some walls. Oh well………that’s ok! My school district has adopted a loosely interpreted policy of save yourself, and the kid’s if you can, in case of a school shooting. We are free to use our own best judgement. Hide or run. There’s no way I would ever run out of my room without my student’s! Never!!!! No teacher would. I can’t even imagine being put in that situation. That just gave me chills. We love our teachers so much, thank you for everything you do! That GSD mindset is kicking into high gear around here too this time of year! !